Modern festivals can be huge events. They pose major logistical challenges for their organisers when it comes to setting up and breaking down all the facilities and ensuring the smooth running of the event during the ‘live’ days of the actual festival. Good communications are vital during all of these phases and Professional Mobile Radio (PMR) is very much the favoured solution, as it provides full control over the system, while coverage and capacity can be tailored to exactly match the size and location of the event. Not the least of the organiser’s headaches is ensuring the safety of the general public attending the festival and that of the contracted workforce. Good crowd control is vital, so stewards and security staff need guaranteed always available and reliable communications to enable this to happen. 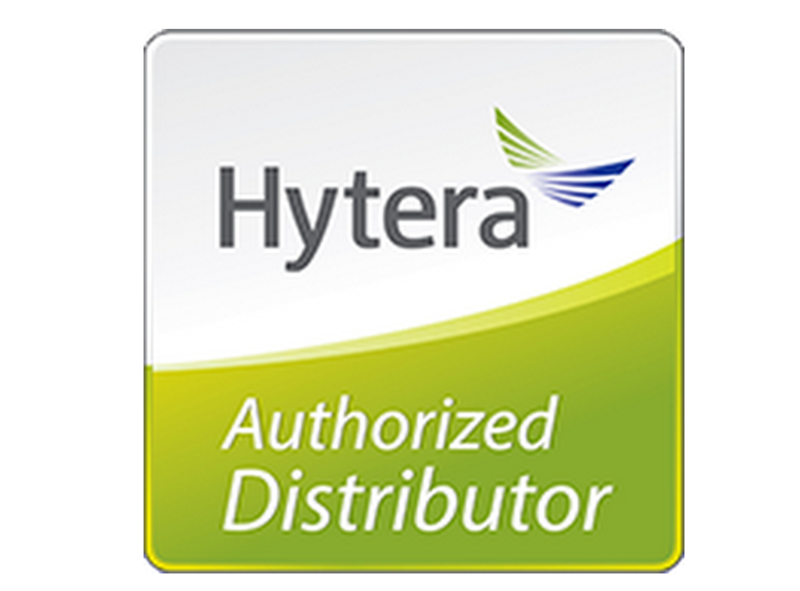 Hytera authorised partner Roadphone NRB (National Radio Bank) is a specialist at providing radio communications for festivals and has amassed a wealth of experience in the sector over the years. 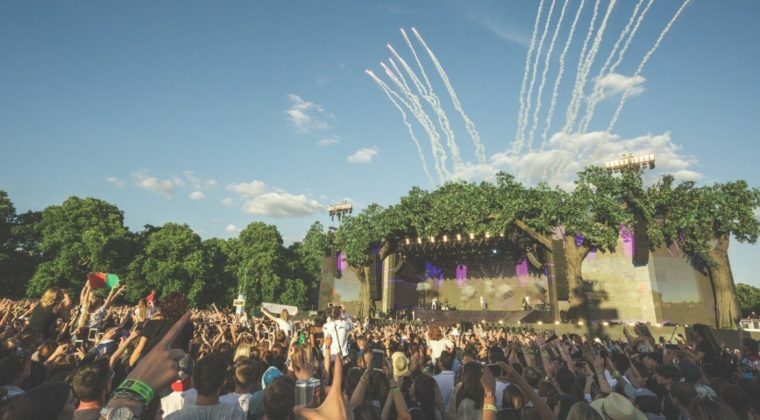 We talked to Roadphone NRB senior manager Ollie Beard to get his advice about what a festival organiser should consider when looking for a two-way radio solution. Ollie explains that generally you can identify the amount of coverage needed, and therefore get a rough idea of the price, by looking at the site on Ordnance Survey maps and Google Earth. Roadphone NRB then conducts a site survey (a free part of the service if it has won the contract) and tests the RF signals in peripheral and underlying areas. Generally testing takes place in winter, but of course the trees have no foliage at that time of year. “You have to use your skill set to judge how the site will be in summer and think about the RF readings and how the foliage might reduce the propagation of the radio signal,” explains Ollie. Once on site, it is a case of verifying the locations of the pre-identified repeater sites and if necessary installing masts to provide the required height. If there are buildings within the festival grounds then repeaters can be sited on the roof if the landlord is amenable. Roadphone NRB tends to use channel combiners to enable four repeaters to operate off one antenna. ‘It makes for a nice install and cleaner air,” observes Ollie. He adds that the type of radio system can evolve over the various phases of a festival. For example, during the build and break phases the production crews are generally just working around the stage areas and only need a simplex solution. “Then near the show weekend you move to repeaters or a trunked system and then you might even introduce further repeaters as the event starts. We’ve found that the Hytera XPT (Extended Pseudo Trunking) solution is a firm festival favourite, because of its simplicity and it is a great way to expand a DMR Tier II conventional system and get more channels,” says Ollie. and festival organisers like the Hytera XPT system is its ‘all call’ feature, which allows the broadcast of urgent messages to all festival staff. There are two types of ‘all call’. One kills all the radios and enables the one voice instruction to be transmitted to everyone. The other is a less intrusive version, which does not interrupt anyone in the middle of transmitting or receiving a call, but it will be transmitted to any dormant radios. “It is a fantastic feature for something like a warning to all staff that the gates are opening, which everyone needs to know immediately. Crowd and public safety is the biggest priority for any festival organiser and that is why we are still using two-way radios,” says Ollie. “Yes, sure you can get quite good apps on smartphones these days, but you are relying on data and the quality of coverage provided by a mobile operator. With radios all a user has to do is change the battery. Everything else is done for them,” explains Ollie. Roadphone NRB helps the festival organisers pick handsets and accessories appropriate to the various job roles and it provides advice on formulating channel plans. In terms of numbers of subscribers, Ollie says a typical festival ranges from about 650 to 800 people requiring a radio. Call groups include: the production department, which is responsible for the erection and removal of stages, perimeter fencing and so on: site services, who look after Portaloos, water, electricity and the like; site stewards may have two or three channels; and security up to four or five channels. Ollie notes that it is possible to run a festival on a Standard Hire Light License if the festival is in the middle of nowhere. “You can do it, so long as anyone who comes on to the site uses the site radios. If they bring their own they may cause interference.” However, he says he wouldn’t dream of using a Standard Hire license at a major festival or an event in an urban area. Usually Ofcom’s PMSE team ensures there are no conflicting frequencies, as it is after all in charge of issuing all the licenses, so it can see ahead of time if there is likely to be a conflict. “Ofcom’s PMSE (Programme Making & Special Events) team are very, very good at these large events, we have a great relationship with them. It’s their job to plan the spectrum and make it work for everyone,” says Ollie. He advises smaller festival organisers to get in touch with Roadphone NRB in January when things are not too busy and the team has the time to talk them through all options. Roadphone NRB’s on-site engineers have to keep on top of who has what kit. Some 15 years ago, the company set up its Checkpoint Charlie™ asset management system. Every bit of kit has a bar code. The engineers take a photo of each person who receives radio kit and the barcodes are logged against their name. This helps to impart a sense of personal responsibility for returning the kit! Accessories are another important part of the job. Ollie notes that the beauty of Hytera kit is the 3.5mm jack situated above the PTT button. People can bring their own earpiece moulds and fit them to the radios. The one thing to ensure is that the Hytera noise cancellation technology in the terminals gets down to the accessories. Ensuring clear audio is a very necessary provision at a music festival after all. Radio training is sometimes carried in groups by the Roadphone NRB engineers or more often experienced festival supervisors will brief their teams. Encryption is not a major concern and the basic radio encryption that comes with the radios is fine for the level the festival works at according to Ollie. The big festivals do use Hytera DWS Dispatch systems too. “We put an engineer in the event liaison room where there are two radio operators and train them on the dispatcher in the run up to the festival. We can set up super call groups, so they just move the mouse, hit a button and drag those groups into an all call – they love that,” says Ollie. An example of this would be the relationship between Roadphone NRB and AEG Presents for their Barclaycard Presents BST Hyde Park (BST) event in London. 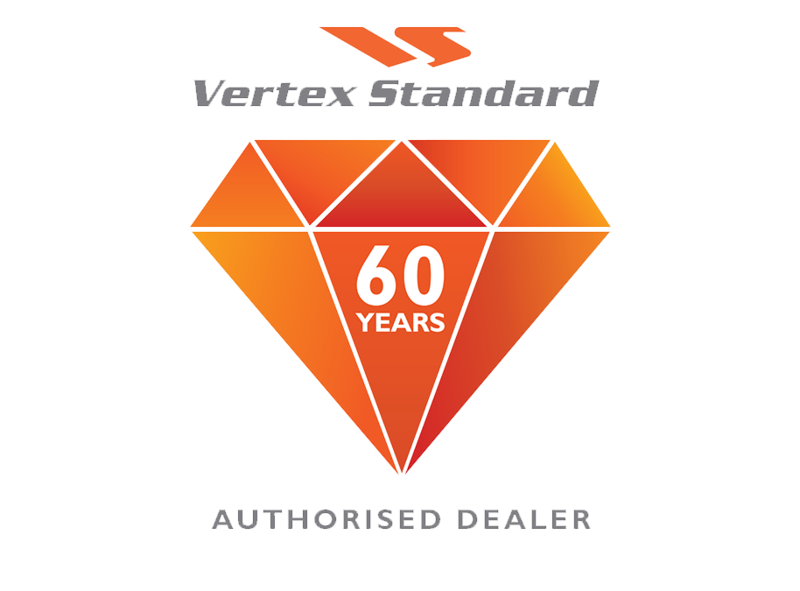 Initially the production team were utilising a conventional repeater and simplex solution. Being introduced to the functionality of the Hytera XPT system presented technical benefits. Mike Trasmundi, BST operations coordinator, comments: “With around 1,000 radios across all departments we were finding conventional systems were not providing us with the flexibility or redundancy that we require.